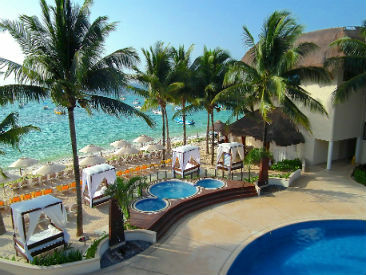 Reef Coco Beach Resort is a beachfront, all-inclusive hotel located just a short walk from the picturesque village of Playa del Carmen. Singles, couples and families with children of all ages will find action-packed fun at this casual getaway. Reef Coco Beach offers a premiere location, non-motorized water sports, an all-new Yaa'x Spa plus easy access to nearby Mayan Riviera sites, all from the beautiful beaches of Playa del Carmen. 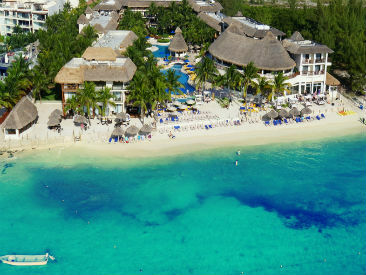 Come visit Reef Coco Beach in all its sun-kissed glory! 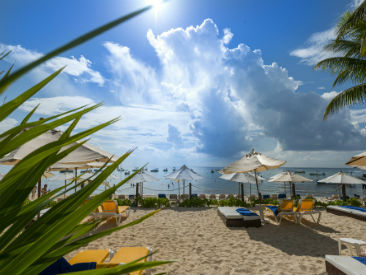 Perfect for groups, couples, friends and families, Reef Coco Beach promises to please all. Enjoy incredible cuisine from 3 restaurants, drinks from 4 bars and lounges and entertainment at the theater or sports bar. Be active or sit back and relax; whatever you choose, you’ll have the time of your life! The recently renovated Reef Coco Beach features all-new amenities and the best of what Playa del Carmen has to offer, all within your budget. With updated restaurants and bars, and an entirely luxurious atmosphere Reef Coco Beach is the perfect destination for your next vacation. Guests can experience a luxury spa, fitness center, Kids Club, all meals plus snacks and an endless list of planned day and night activities! Pick the level of the all-inclusive plan that fits your needs and enjoy everything you want and nothing less. Trendy Playa del Carmen — where you'll find shops of all kinds and dozens of bars and restaurants — is within walking distance! This popular area has some of the best nightlife Riviera Maya has to offer. Daily activities are coordinated by the entertainment staff with a complete all day program for adults and separate programs for children 4 to 12. Nightly entertainment spectaculars are fun for the whole family. Honeymooners will receive a complimentary bottle of sparkling wine and special room decoration in their room upon arrival. Reservation must be noted 'Honeymoon' and proof of marriage date may be requested at check-in.